Prime Minister Narendra Modi will address a rally at Uttarakhand's Udham Singh Nagar district on Thursday. 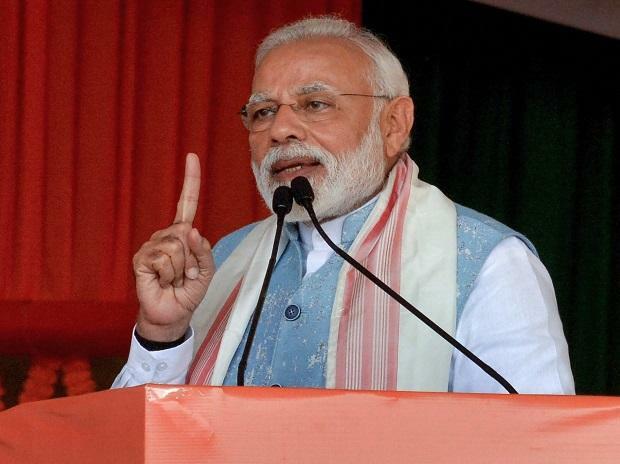 The prime minister is scheduled to address the rally at the district's Rudrapur city at 11 am, Pradesh BJP working president Naresh Bansal told reporters. Bansal assumed the office of the Pradesh BJP working president on Wednesday as its former chief Ajay Bhatt has been fielded by the party from the Nainital Lok Sabha seat. Modi had arrived here last month to address a Vijay Shankhnad rally at Rudrapur last but could not make it to the venue due to bad weather. However, he had addressed the rally through a mobile phone. Senior BJP leaders, legislators and party candidates will also be present at the rally, Bansal said. Bansal also announced the appointment of state higher education minister Dhan Singh Rawat as the coordinator of the state BJP's poll management committee. Though claiming that the BJP was all set to retain all the five Lok Sabha seats in Uttarakhand, Bansal asked party workers not to sit content and work hard to ensure party candidates win with bigger vote margins. The state goes to poll on April 11.